Photo credit: Donald Gruener / iStock. The argument over irrigating versus dry farming is among the topics in the wine world that result in nearly religious standoffs. Industry professionals often have strongly opposing views, sometimes rooted more in passion and casual observation than in reality. Here, SevenFifty Daily examines the facts and complexities related to three common assertions: that better wine regions don’t irrigate, that irrigated grapes make inferior wines, and that dry-farmed vineyards can’t survive a drought. Myth 1: Quality wine regions don’t irrigate their vineyards. Grapevines, like all plants, need water. 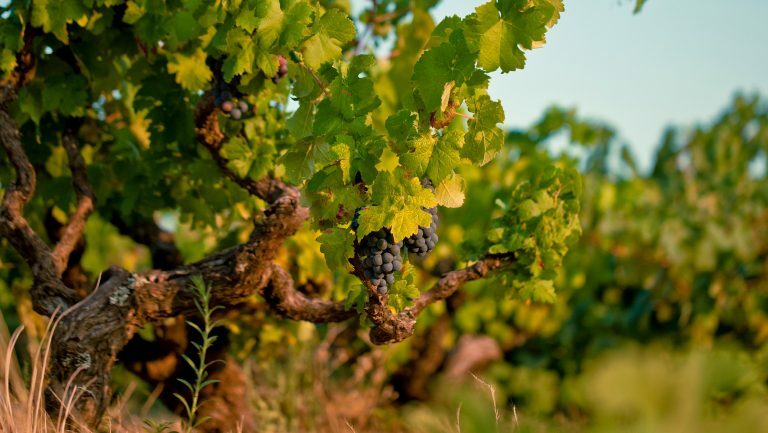 Though wine grapes are less thirsty than many crops, including table grapes, a nonirrigated vineyard still requires 20 to 30 inches of rain per year to thrive. The actual demand for water of any particular vine is determined by vine age, variety, rootstock, soil types and drainage (for both topsoil and subsoil), slope, topsoil depth, day and night temperatures, humidity, wind, depth of water table, crop load, canopy management, vine health, sun and UV exposure, when the water is applied, and other considerations. For this particular discussion, though, let’s just go with the average of 20 to 30 inches in annual rainfall. To protect wine quality, irrigation is illegal in some of the world’s best wine regions, particularly in Europe. That includes the five B’s: Burgundy, Bordeaux, Barolo, Barbaresco, and Brunello. A look at the average rainfall for many of those regions, however, shows that they typically get plenty of rain. Furthermore, their climates often feature lower average temperatures, higher humidity, and less sun than regions where irrigation is typical. The rain also tends to come at more opportune times for grape growing. Under normal circumstances, irrigation isn’t necessary. Alsace, the driest of France’s major wine regions, gets about 20 inches of rain per year, enough for viticulture. In many premier regions, including Bordeaux, rainfall is considerably greater. Some growers have even excavated their vineyards to install drainage systems because the soil often held too much water (Chateau d’Yquem is a notable example). 1 Brunello is the driest Tuscan DOCG; Chianti averages 35.5 inches. 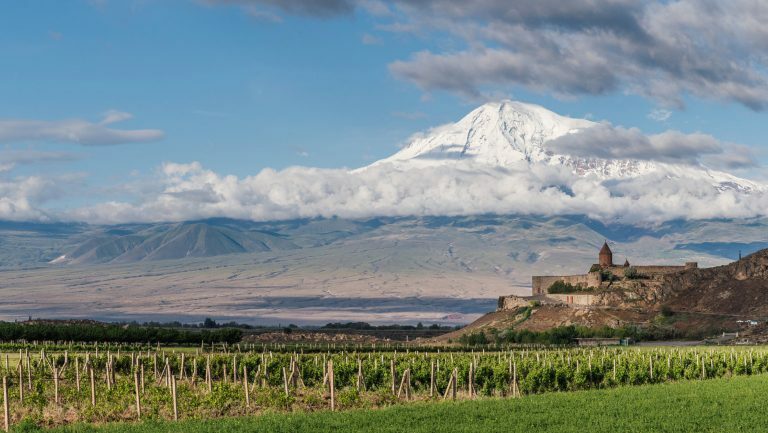 Irrigation was outlawed in these regions not because it necessarily makes inferior wine, but because excessive or ill-timed water—whether rainfall or irrigation—can result in diluted wine (or too much vigor). Without such a law, some producers might irrigate to plump the grapes with water, decreasing quality to increase quantity. Many such anti-irrigation laws were also passed before the advent of new techniques that enable very judicious watering. On the other hand, there are many very fine wine-growing regions where irrigation is legal. Simply put, some regions would not sustain vineyards without irrigation. And nobody would argue that representative wines from these areas seem thin or watered down. 2 It’s not just warm regions that require irrigation. Sta. Rita Hills is quite cool. 3 Irrigation is legal in Ribera del Duero but rarely used because the vines are very old and widely spaced. And yet, because of climate change, even some traditional strongholds of dry farming are relaxing their regulations. 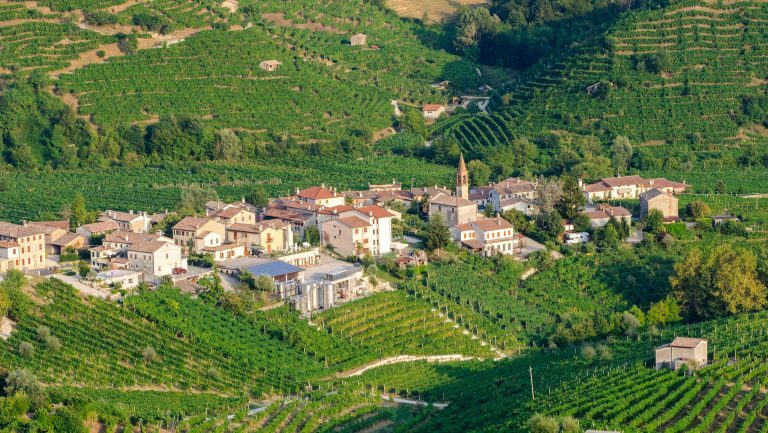 In Barolo and Barbaresco, the Italian Ministry of Agriculture allows irrigation on a case-by-case basis because warming has led to severe dehydration at certain times during recent vintages, significantly affecting wine quality. While some wine drinkers may prefer the Pinot Noirs of Burgundy to those of Sta. Rita Hills, or the Cabernet Sauvignons of Bordeaux to those of Red Mountain, the presence or lack of irrigation is not considered a reliable factor for setting the quality of wines produced in one wine region over those produced in another. Myth 2: Irrigated grapes make inferior wines. There are many ways to implement irrigation. Some are derived from traditional, high-volume, row-crop agriculture and do have a negative effect on quality. Flood, furrow, and overhead irrigation are—in virtually all cases—not suitable for quality-focused viticulture. They apply too much water and do so in an uneven and largely uncontrolled fashion. They are also inefficient, wasting water through evaporation and providing it in areas inaccessible to the vines. When there is routinely an overabundance of available water in the topsoil—due to excessive rain, irrigation, nondraining soil, or a high water table—wine quality generally declines. It doesn’t matter whether the water occurs naturally or is provided by the grower. Vines will focus more energy on growth and vigor than on creating tasty berries. If water is routinely available near the soil surface, as it might be from rain or irrigation, vine roots will tend to grow horizontally rather than deep. This limits their exposure to the complex mix of minerals and microbiota distributed throughout multiple soil strata. And excess water around harvest time bloats grapes, decreasing the concentration of sugar, acids, flavors, color, and tannin. But other methods of irrigation, leveraging decades of scientific research and technical development, allow for carefully timed, measured, and positioned doses of water. Drip irrigation, pioneered in Israel in the 1960s, deposits water drop by drop in precise locations. Contemporary drip emitters, which fit into tubing attached to a trellising system, can also compensate for varying water pressure, slope, and row length. Typically, drip irrigation applies water in very small amounts over a limited period of time to simulate a light rain. As water soaks into the soil, it forms spherical zones of moisture beneath the vines—rather than being spread out over the entirety of the vineyard—thereby encouraging the roots to grow downward. An alternative to aboveground drip irrigation places the tubes and emitters, or semipermeable hoses, underground. The depth of placement and the efficacy of such a system will vary based on soil type, root depth, and other factors. This technique is especially popular in very dry, hot areas where evaporation is a serious problem and water is both scarce and expensive. Micro-irrigation in a dry climate can present advantages over actual rain. 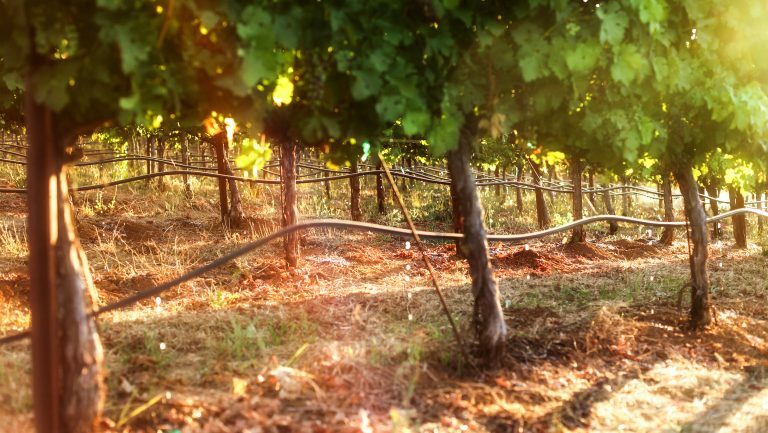 Drip water goes directly onto the soil, instead of dampening the leaves and grape bunches, so it doesn’t encourage rot or other maladies resulting from excess moisture on the vines. Irrigation is done only at night, when vines are most eager for replenishing and evaporation is minimized. This watering can also be done only when the vines show need and only in the necessary volume. Irrigation systems can also be used to deliver liquid nutrients carefully and efficiently (as opposed to spraying). This is often called fertigation. To ensure that irrigation isn’t excessive, it’s essential to carefully evaluate vines’ hydration on an ongoing basis. There are many ways to do that, both high-tech and low. This is an area of continual research and development, with new methods and products being introduced regularly. “Pressure bombs” on selected leaves measure water-holding capacity. Infrared sensors can measure leaf temperature, an indicator of transpiration and water stress. Automatic, nearly continuous measuring of sap flow and transpiration in canes or cordons with high-tech sleeves provides a steady stream of data. Dendrometers can track small changes in vine trunk circumference that indicate hydration levels. Neutron probes and gypsum moisture blocks indicate water levels in the soil. Then there are the old-fashioned but still effective methods of looking at and feeling leaves, grapes, and cover crops. There’s no question that irrigation is different from rain. However, irrigation doesn’t have to create shallow root systems or water-plumped grapes. It’s simply one of many tools vignerons can use, according to their needs, preferences, and abilities. And wines of both high and low quality result from irrigated and nonirrigated vineyards alike. Myth 3: Dry-farmed vineyards can’t survive a drought. It may seem logical that a vineyard with irrigation would be less vulnerable to drought than one without. But that’s not necessarily true. While dry farming may be impossible in places with extremely arid climates, nonirrigated vineyards in somewhat more hospitable climates can often continue to thrive through a few unusually dry years. Dry-farmed vineyards in low-rainfall regions tend to develop deep root systems. Such roots can reach far enough below the surface to continue tapping into a receding water table. Several other factors can contribute to the survival of certain dry-farmed vines during drought. Vines accustomed to getting by on scant water balance their growth accordingly. All things being equal, old vines, with their lower vigor, smaller berries, and deeper roots, need less water than young ones. Certain rootstocks, such as St. George or 1103p, require less water than others. Low-density vineyards require less water, assuming vigor is equal, because there are fewer vines. Eliminating cover crops and weeds, which compete for water, helps. So does reducing canopy size and the number of bunches. Lower temperatures and less evaporative wind but greater cloud cover, fog, and humidity will reduce water needs. The land makes a difference too. Some subsoils, especially limestone and chalk, will hold significant amounts of water, which vine roots can sip on lightly, as needed. Flat vineyards drain more slowly than sloping vineyards with the same soil, allowing roots more time to capture the water. The timing of rain is also important. 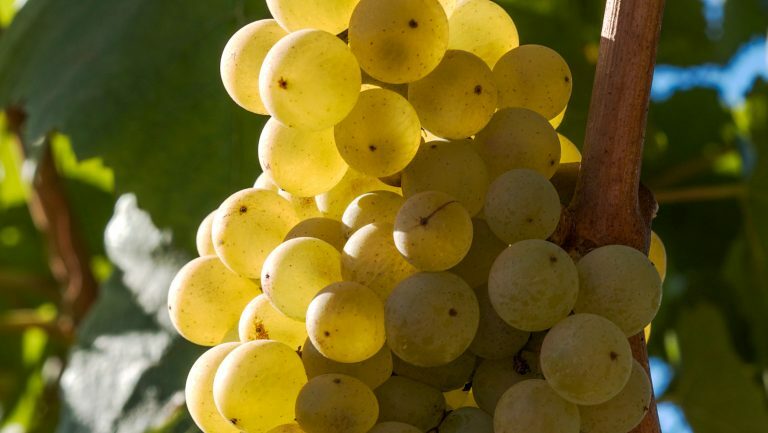 Water is especially necessary during the beginning phase of the vintage when vine growth is greatest, after severe heat spikes, and perhaps, a month or so before harvest. Conversely, some irrigated vineyards suffer during drought. They may be more accustomed to easy water and have only shallow, horizontal roots. Those won’t be able to reach a receding water table, and the topsoil in which these roots reside would dry out quickly. If the drought makes increased irrigation impossible, those vines will be in trouble. Two vineyards in Paso Robles, California, illustrate these points. Kevin Jussila, the winemaker and owner of Kukkula in the Adelaida District AVA, began planting vines in 2005. His Rhône and Bordeaux varieties grow at an altitude of 1,400 feet to 1,800 feet on hillsides with a 30-degree grade 12 miles from the Pacific Ocean. Below the thin topsoil is heavy, water-retaining clay. Adelaida also gets more rain than most in greater Paso Robles, which can be quite arid. This combination allowed Kukkula to be exclusively dry-farmed from day one. Despite their youth, the vine roots are deep. I toured the vineyard with Jussila this spring, and it was thriving. The winter had brought plenty of rain, but the vines showed no signs of having been hampered by the previous years’ lack thereof. Nor did wines from those vintages show any indications of stress or raisining. Some vineyards nearby, notably Tablas Creek, also dry-farm. But despite the possibility of doing so, many do not. Some of those who don’t didn’t weather the recent drought years well at all. In at least one, the vines had actually died. Irrigation water was scarce, and the vineyard’s shallow root system couldn’t get enough. When subjected to data and scientific rigor, none of the broad generalizations about irrigation and dry farming hold water: There are far too many variables in play. Wine growing should be tailored to the specific sites in question, where practiced vignerons make decisions based on their particular vineyards. 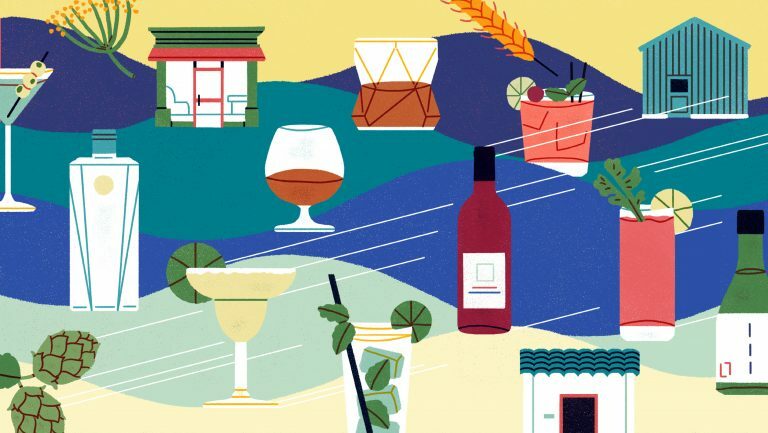 Buyers, sommeliers, and consumers should make their judgments based on what’s in the bottle—not on how the vines got their water. Fred Swan is an Oakland-based writer and educator on wine and spirits. Among his credentials are Certified Sommelier, WSET Diploma, French Wine Scholar, Sud-France Wine Master, Italian Wine Professional, and Certified Specialist of Wine.